History & Background MESCOT Initiative, Kinabatangan, Sabah, Malaysian Borneo For a millennia the indigenous Orang Sungai people of the Lower Kinabatangan have been living off the rainforest for food, medicine, household commodities and products of trade. This world changed dramatically from the 1960's onwards, with the advent of mechanised extraction of the forests timber resources. The ensuing rapid reduction of traditional forest resources forced many local people into a spiralling trap of dependence on timber as the only remaining viable source of trade. With the final conversion of large tracts of lowland forests of the Lower Kinabatangan throughout the 1980s into permanent agricultural crops, many local people were then forced to poach timber and other forest products to eke out an existence. 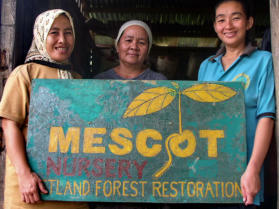 The MESCOT Initiative was started in 1996 be a group of about 30 visionary and dedicated individuals from the different villages of Batu Puteh to create an alternative medium of income generation for the people of the area, while in the process of protecting the last remaining vestige of rainforest and traditional indigenous cultural heritage. The key objectives of the MESCOT Initiative are to develop an alternative path of co-existence with the remaining rainforest resources and generate a sustainable long-term economic path for income generation for the indigenous local people of the area. The core and catalyst activity chosen by the MESCOT group was Eco-Tourism. 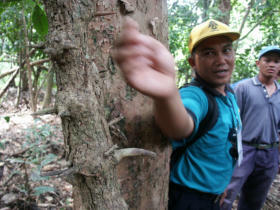 It was hoped that this activity would be the key to raising income in this poor and remote rural community, increase the economic value of a depleted forest resource, and, in the process, raise funds to support the protection and restoration of the last remaining wetland forests and wildlife of the area. 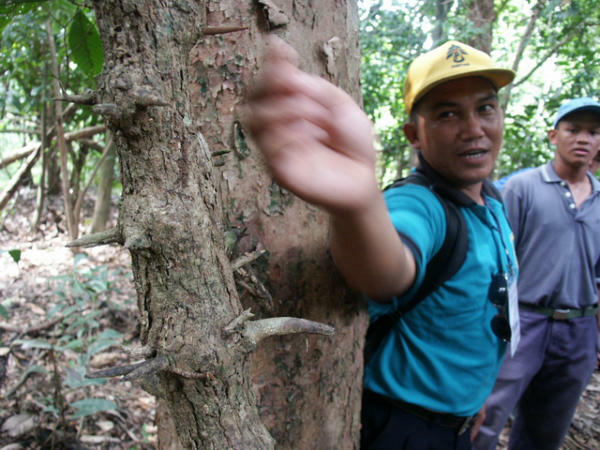 MESCOT's scope was broadened in 1998 when drought induced forest fires ravaged parts of the remaining natural forests surrounding the villages of Batu Puteh. The MESCOT group voluntarily engaged to fight these fires and in the aftermath decided it critical to rehabilitate the degraded wetland forests and critical wildlife habitats and corridors. At the time, these steps were ground-breaking, as previously little was known about the complex floodplain forest tapestry and the different rainforest types of the area. With the support of kind global citizens the forest restoration work has since developed to be a core activity of MESCOT driving the future of the village run co-operative set up to manage these activities.